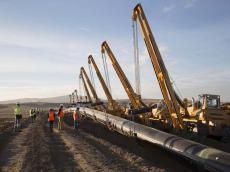 TAP AG, the consortium for construction of the Trans Adriatic Pipeline (TAP), will soon start excavation phase that will allow to connect the part of the gas pipeline that arrives by sea from Albania with the short stretch on land in Italy, Trend reports citing a message from the consortium. The final part of this connection, about 1.5 kilometers long, will be realized using the microtunnel technology, said the message. “The excavation will be carried out at 16 meters below the beach and therefore there will be no interference with what is happening on the surface, nor will there be any limitation of access to those areas for citizens,” the consortium said.